This is part twenty-two of a series of posts that will examine the Republican delegate allocation rules by state. The main goal of this exercise is to assess the rules for 2016 -- especially relative to 2012 -- in order to gauge the potential impact the changes to the rules along the winner-take-all/proportionality spectrum may have on the race for the Republican nomination. For this cycle the RNC recalibrated its rules, cutting the proportionality window in half (March 1-14), but tightening its definition of proportionality as well. While those alterations will trigger subtle changes in reaction at the state level, other rules changes -- particularly the new binding requirement placed on state parties -- will be more noticeable. The date is much the same -- it amounts to the same first Tuesday after the first Monday in March date -- but the mode of delegate allocation is different in Idaho in 2016 than was the case in 2012. Republicans in the Gem state traded in their early caucus for an earlier presidential primary (moved from the traditional mid-May point where it was consolidated with the primaries for other offices). Idaho Republicans also switched out some funky caucus allocation rules for a set of rules that is more in the mainstream of how other states are allocating delegates in 2016. Gone is the more or less instant runoff method that netted Mitt Romney a winner-take-all allocation. That has been replaced by a proportional allocation based on the statewide results of the March 8 presidential primary in Idaho. As has been witnessed in other states, though, what constitutes proportionality varies quite widely. Much of that variation in the application of proportionality is attributable to a couple of factors. First, is the delegation pooled or separated for the purposes of allocation? The former typically means that a state will end up closer to a true proportional allocation of delegates than not. The latter opens the door to the bulk of the wild delegate allocation plans out there. Secondly, however, is there a threshold that the candidates must meet to qualify for delegates? With a threshold comes limitations in terms of how many candidates end up with delegates. But that fact is tempered by the distinction raised in the first question. States that have separated allocation -- distinctions made between the allocation of at-large and congressional district delegates -- and a threshold have been the most complex. Many of the SEC primary states fit this description. Idaho fits somewhere in between states with that type of allocation and those with a proportional allocation of pooled delegates without a threshold. It is that kind of allocation that ends up being perhaps the least complex. For example, then, Idaho Republicans will pool all of their delegates rather than invite complexity through a separate allocation of at-large delegates and the six delegates in just two congressional districts. The rationale is similar to the that of other small states. Power comes through allocating a small bloc (or blocs) of delegates rather than a much more decentralized proportional allocation. Gem state Republicans will accomplish this through pooling their delegates but also by layering in a couple of thresholds. First, to qualify for any of the 32 delegates, a candidate must win at least 20% of the vote (before rounding) in the Idaho presidential primary. That will have the effect of limiting the number of candidates who receive delegates to likely four or fewer. If no candidate clears the 20% threshold, then the allocation would be carried out as if there was no threshold at all. Not expressly prohibited by the rules is a backdoor to a winner-take-all allocation. While the "if no candidates clear the threshold" contingency is described, the "if only one candidate clears that qualifying threshold" is not. What that means is that there is a backdoor winner-take-all option on the table in Idaho. And since the delegates -- all 32 of them including the automatic delegates -- are pooled Idaho is the one state before March 15 where just one candidate surpassing the qualifying threshold could net that candidate all of the delegates from that state. 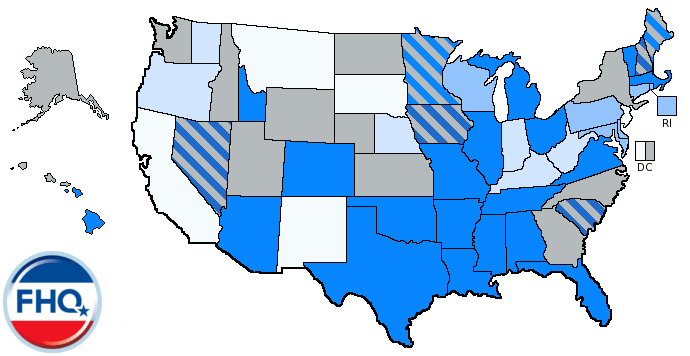 The others to this point on the calendar that have allowed for a backdoor winner-take-all option, but the allocation was split into statewide/at-large and congressional district delegates. That makes Idaho a potentially powerful, pre-March 15 piece in the allocation puzzle. Things would have to fall right -- a crowded field with little winnowing or separation between the candidates, for example -- but a potential +32 coming out of Idaho could be more valuable to a campaign than a split of, say, the 155 delegates in Texas. This captures the perfect storm sort of scenario for a backdoor winner-take-all allocation of the Idaho delegation. Trump would barely get half of the total necessary to win a true winner-take-all victory, but because he is the only candidate over 20% (in this simulated allocation), he would win all of the delegates from the state; a backdoor to a winner-take-all allocation. The arrival at such an outcome is a bit unconventional in Idaho. The allocation calculation calls for the candidate's share of the vote to be divided by the total statewide vote. That would mean that Trump, in the above example, would only receive a 28% share -- or 9 -- of the total number of delegates. That is not winner-take-all by any account. However, the rules also call for the unallocated delegates -- those not allocated to Trump above -- to "be apportioned proportionally among candidates who clear the 20 percent threshold." That would award the remaining 23 delegates to Trump, giving him the full allotment of delegates. Were the backdoor winner-take-all allocation trigger not tripped multiple candidates crossed the 20% barrier -- or none did -- the Idaho Republican Party rules are not clear on how the rounding would be handled (though the allocation would be proportional without any threshold). The only reference to rounding is that a candidate must have 20% of the vote to qualify. 19.9%, for instance, would not round up to 20% and qualify any such candidate for delegates. It is not clear, then, if the rounding is always up to the next whole number or simply to the nearest whole number. Additionally, there is no outline for a sequence to the rounding procedure or a contingency for unallocated or over-allocated delegates. That contingency coming into play is a function of how many candidates clear the threshold. Anything more than two candidates raises the likelihood that there will be an under- or over-allocated delegate. If, however, the threshold is lowered to 15% to include Ben Carson in the allocation, then Trump would round up to 9 delegates, Carson would round up to 5 and the remaining 18 delegates would be uncommitted. That is due to the allocation equation laid out in the Idaho Republican Party rules. Only candidates over the threshold qualify for delegates, but a candidate claims delegates based on their share of the statewide vote divided by the total statewide vote for all candidates, not just the qualifying candidates. If the threshold is lowered to 7% to pull in Bush and Cruz, then Trump and Carson would be allocated the same 9 and 5 delegates respectively and Bush and Cruz would both round down to 2 delegates each. 14 delegates would be unallocated and would remain uncommitted. While the rounding in Idaho retains some operational question marks, the combination of simple rounding rules -- rounding up above .5 and down below it -- and not allocating delegates for those under the 20% threshold simplifies things to some degree. Though the party rules use pledged rather than bound, the intent is the same with regard to how the Idaho delegates act at the national convention. Delegates are bound to the candidate who "proposed them on their list" or were pledged to by the Idaho Republican Party Nominating Committee on the first ballot of the roll call voting at the national convention. Like Hawaii, the candidates have some say in who their Idaho delegates will be. Candidates submit a list delegate candidates -- a slate essentially -- equal to 80% of the total delegation (26 delegates). Should a candidate win all of the delegates and/or fail to submit a list (or the requisite fee), then the Nominating Committee would select and pledge delegates to that candidate. In the event of a winner-take-all scenario, that would mean the remaining 20% of delegate slots not covered by the 80% slate. In the case of a candidate not filing a slate, that would mean how ever many delegates allocated to that candidate. In a straight proportional allocation of the delegates, the 80% slate is likely to contain enough delegates to cover the candidate. Again, that is 26 of the 32 delegates. It is a little quirky, but it does highlight that the candidates would mostly retain some power over who their delegates are. That has implications for the national convention should it go beyond just one vote. Most of those delegates would be more loyal to the candidate than delegates selected and bound to a particular candidate but who prefer another. Additionally, a candidate's withdrawal from the race or suspension of their campaign makes their delegates uncommitted. This is clear if the withdrawal/suspension occurs after the selection but before the convention. In that case, the Idaho Republican Party rules clearly release the delegates. However, if the withdrawal occurs before the selection process described above, then the Nominating Committee may fill those slots with as many uncommitted delegates as the withdrawing candidate was entitled to. 1 Granted, McCain had already wrapped up the nomination by the time Idaho voted in May 2008 and Romney benefitted from the aforementioned, quirky caucus allocation rules in 2012. 2 Though the 17% of respondents who fell into the "Don't Know"/undecided category in the Dan Jones poll would also not have qualified for delegates, distributing that fraction to other candidates in a primary could have pushed others over the 20% qualifying threshold. 3 This polling data is being used as an example of how delegates could be allocated under these rules in Idaho and not as a forecast of the outcome in the Gem state primary. This is part twenty-one of a series of posts that will examine the Republican delegate allocation rules by state. The main goal of this exercise is to assess the rules for 2016 -- especially relative to 2012 -- in order to gauge the potential impact the changes to the rules along the winner-take-all/proportionality spectrum may have on the race for the Republican nomination. For this cycle the RNC recalibrated its rules, cutting the proportionality window in half (March 1-14), but tightening its definition of proportionality as well. While those alterations will trigger subtle changes in reaction at the state level, other rules changes -- particularly the new binding requirement placed on state parties -- will be more noticeable. The Hawaii Republican Party rules for delegate allocation have not changed in any meaningful way as compared to the method the party operated under in 2012. The date -- the second Tuesday in March -- is the same and though Hawaii Republicans lost one at-large delegate from 2012, it is a change of just one delegate. But the small number of delegates at stake in the March 8 Hawaii Republican caucuses will be proportionally allocated based on the caucus results at both the state and congressional district level. Rather than pooling the 16 at-large and congressional district delegates, Hawaii Republicans will allocate both types separately. At-large delegates will be proportionally allocated based on the statewide results while the congressional district delegates will be awarded based on the outcome of the caucuses in each of the islands' two congressional districts. There is no threshold in the Hawaii allocation process at either the state or congressional district level to qualify for delegates. However, the rounding method used by Republicans in the Aloha state both advantages the winner/top finishers and limits the number of candidates who will likely end up being allocated any delegates (see below for an illustration of this). This is where the rounding method is important. Fractional delegates always round up to the nearest whole number, but that means there is a threshold under which no one receives delegates and the last one over that barrier receives any leftover, unallocated delegates. That is because the rounding has a sequence, starting with the top votegetter and working downward through the list in the order of finish. All of the candidates, then, round up to the next whole number despite, for example, Carson having a remainder less than .5. That leaves just one delegate left for Rand Paul by the time the sequence gets to him. Now, the junior Kentucky senator would have been allocated one delegate anyway based on pulling in 5% of the statewide vote. However, that is not the proper way of thinking about the Hawaii allocation because of the sequential rounding. Once the sequence gets to Paul, there is just one delegate left. It would be his. Such a sequential method when coupled with always rounding up means that while there is no official threshold in Hawaii, an unofficial one will force itself into the allocation of the at-large delegates. Some candidate will be the last to be allocated delegates in the sequence and those behind that candidate will be left out of the allocation process. In this example then, that threshold is at 5%, but again, not officially. Four years ago, all 11 at-large delegates were allocated to the top three candidates and Newt Gingrich, despite winning more than 10% of the vote had nothing to show for it. The unofficial threshold to win any delegates, then, was higher in 2012 -- around the 19% that Ron Paul received. The main point here is not so much this threshold idea, but rather to point out that though there is no official threshold, there are limitations to who and how many candidates receive any delegates. And it should be noted that part of that is a function too of there being so few delegates in the first place. The same type of principle used in the allocation of the at-large delegates impacts the congressional district delegate allocation as well. There is no threshold, but as FHQ has said numerous times, there are only so many ways to proportionally allocate the three delegates the RNC apportions to each of a state's congressional districts. The key to the allocation of the Hawaii congressional district delegates is in the rounding. Just as above, fractional delegates will be rounded up to the nearest whole number. If a candidate receives more than one-third of the vote in a congressional district, then that candidate will round up to two delegates in that district. The remaining delegate would be left to the candidate in second place in that district. If no candidate clears that 33.3% threshold in a congressional district, however, then the top three candidates would all be allocated one delegate. This is a firmer threshold than the one discussed in the at-large example above. It is akin to some of the winner-take-all thresholds that exist in other states, but this one is specific to the allocation of two versus one delegate to the congressional district winner. To receive all three delegates -- to round up to all of them in a congressional district -- a winner would have to clear the roughly 67% barrier. That seems unlikely even with a winnowed field. Due to the new guidance from the RNC on the allocation and binding of the three automatic delegates, the Hawaii Republican Party could no longer leave them unbound. Rather than included them in the at-large pool of delegates as other states have done, the HIGOP has opted to separately allocated those three delegates based on the statewide results. Given the above data from the simulation, Trump would receive two delegates and Rubio one. Hawaii Republican delegates are bound by party rule Section 216 to candidates on the first roll call ballot at the national convention. However, those same party rules allow the candidates/campaigns some discretion in the delegate selection process. Delegates, then, may not be bound after the first ballot, but would likely remain loyal to their candidate in any subsequent vote. They would be pledged but not bound unless or until their candidate pulls his or her name from consideration. 1 I have no idea about the methodology at ISideWith. Again, this is just an exercise in how the allocation might look, but probably will not. Using their numbers is perhaps marginally better than me creating results. And yes, they sum to 102. 2 This data is being used as an example of how delegates could be allocated under these rules in Hawaii and not as a forecast of the outcome in the Aloha state caucuses. This is part twenty of a series of posts that will examine the Republican delegate allocation rules by state. The main goal of this exercise is to assess the rules for 2016 -- especially relative to 2012 -- in order to gauge the potential impact the changes to the rules along the winner-take-all/proportionality spectrum may have on the race for the Republican nomination. For this cycle the RNC recalibrated its rules, cutting the proportionality window in half (March 1-14), but tightening its definition of proportionality as well. While those alterations will trigger subtle changes in reaction at the state level, other rules changes -- particularly the new binding requirement placed on state parties -- will be more noticeable. 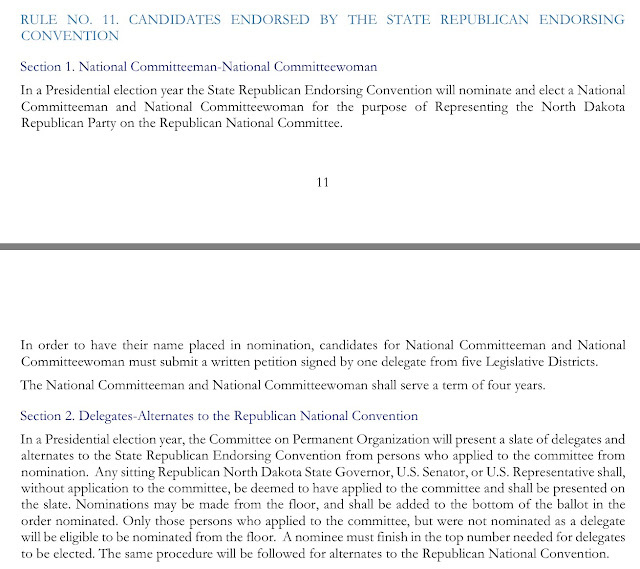 Digging down, there are a number of changes to the Louisiana Republican Party delegate allocation rules for 2016. First, the state legislature in the Pelican state moved the presidential primary up a couple of weeks to early March back in 2014. That shift preceded the regional push to form the SEC primary. Still, the Louisiana presidential primary will fall just a few days later, the weekend after a number of southern states hold contests on March 1. Secondly, delegates will be more clearly allocated through the presidential primary election. Four years ago, the at-large delegates were allocated based on the statewide vote in the primary while the congressional district delegates remained officially unbound (after having been selected in district caucuses). Unlike four years ago, then, Louisiana Republicans have linked the allocation of delegates -- both at-large and congressional district -- to the results of the presidential primary. There are still district caucuses, but the voting there will in part select the delegates ultimately allocated and bound to candidates based on the primary results. As has been witnessed in other states, that 20% barrier has a limiting effect on who and how many candidates actually qualify for delegates. In a crowded field, fewer candidates would likely cross the line. As the field winnows, however, that number increases, but only to a point. Only as many as five candidates could qualify and that is only in the event that all five tie at the top with exactly 20%. In other words, somewhere between one and four candidates are likely to be allocated any of the at-large delegates. There is no similar threshold conditioning the allocation of congressional district delegates. Unless one candidate runs away from the rest in a congressional district, then functionally, the top three finishers in a district vote will be allocated one delegate each. Additionally, Louisiana Republicans have not put a winner-take-all threshold in place. Even if a candidate were to win a majority of the vote either statewide or on the congressional district level, it would not trigger an allocation of all of the (unit-specific) delegates to that candidate. It is always proportional (by RNC rules) with some caveats. The above allocation seems quite cut and dry: Ben Carson, using these numbers in Louisiana, would be the only candidate to qualify for at-large delegates. The retired neurosurgeon would be the only candidate north of the 20% threshold that Louisiana Republicans have in place to guide the delegate allocation there. Appearance, however, might not match reality here because there is a lot left unsaid in the Louisiana delegate allocation rules. Yes, a candidate must receive at least 20% of the statewide vote to qualify for any of the 28 at-large and automatic delegates. Yet, the above simulated allocation -- a backdoor winner-take-all scenario statewide -- is not be how the allocation works in practice. There is no contingency specified in the event that only one candidate surpasses the threshold.3 And that, in turn, leaves some of this to interpretation. The way FHQ has treated other states in similar situations is that if only one candidate clears the threshold, then that candidate claims all of those delegates -- either at-large and/or congressional district -- unless explicitly prohibited by the state party rules. Well, there is no such prohibition in Louisiana. In fact, the language of the rule is pretty important here (Rule 4c). That actually indirectly prohibits a backdoor winner-take-all allocation to Ben Carson in the simulation above. Carson would only be allocated his raw percentage of the at-large delegates (using the statewide vote rather than the qualifying vote as the denominator in the allocation equation). In other words, rather than receiving all 28 of the at-large delegates (for being the only qualifying candidate), Carson would only net 23% of those 28 delegates. That is just 6.44 delegates, a far cry from the 28 above. The catch is that the Louisiana Republican Party Executive Committee has the ambiguous discretion of rounding the delegate totals. That and the above fact about raw percentages matter whether there is just one candidate above the 20% qualifying threshold or multiple candidates (as is likely the case with a March 5 contest). Without adjusting the denominator in the allocation equation from the total votes cast to just the votes of the qualifying candidates, the Louisiana Republican Party has quietly and within the RNC rules, mind you, created a group of unbound delegates. In the above example, Carson would get 6 or 7 at-large delegates depending on how the Executive Committee rounds that 6.44. Again, the committee has the latitude to set that allocation. But it is based on the "same proportion" of the vote that Carson received statewide. That leaves 21 or 22 unallocated delegates. Those would theoretically be delegates selected and sent to the national convention unbound (but not necessarily unpledged). Now, that leaves a couple of items to note. First, this is quite reminiscent of the 2012 Louisiana delegate allocation rules with regard to at-large delegates. The congressional district delegates were unbound in Louisiana four years ago. But second, there likely will not be such a large number of unallocated delegates. Again, by March 5 there is likely to have been some winnowing of the field. With that shrinking of the field, the chances of a smaller group of candidates qualifying for delegates -- more than one but fewer than five -- increases. But even if that threshold is relaxed to 10% -- so that both Trump and Bush, using the polling data above, qualify for delegates -- the three of them only add to 52% of the vote. That means that, depending on the rounding by the LAGOP Executive Committee, approximately 48% of the at-large delegates (13 delegates of 28) would be unallocated to candidates and thus unbound for the national convention. Is that hugely consequential? In the grand scheme of things -- the race to 1237 -- probably not. However, this is yet another little wildcard to file away for when the process gets to Louisiana. But the bottom line is that this seemingly was a move by the Louisiana Republican Party to comply with the RNC rules, but retain something similar to the way the party had allocated delegates in the past. Then again, perhaps LAGOP was not that sophisticated. Where the state party lost some discretion on that score is in the allocation of congressional district delegates. Four years ago, those delegates were elected in congressional district caucuses and were left unbound heading into the national convention in Tampa. For 2016, those delegates will selected at the state convention based on the results of the March 5 primary in each of the six congressional districts in the Pelican state. The same 20% threshold to qualify for at-large delegates does not apply to the allocation of congressional district delegates. Instead, there is no qualifying threshold. Again, as has been mentioned elsewhere, there are only so many ways to proportionally allocate three congressional district delegates. Even with no threshold, then, this type of allocation tends to function as if it was a top three system: the top three candidates all are allocated one delegate. The exception is if one candidate wins a majority of the vote within a congressional district. In that case, such a candidate would round up and qualify for two delegates.4 Whether a candidate reaches that majority threshold, though, greatly depends on the extent to which the field has winnowed ahead of the Louisiana primary. At-large and congressional district delegates who are bound to candidates will be bound to them only on the first ballot of the roll call nomination vote in Cleveland (see Rule 4f). Furthermore, delegates of candidates who have suspended their campaign are no longer bound to those candidates on that initial roll call vote. 1 The 20% threshold is used by the Louisiana Republican Party to determine which candidates qualify for the statewide, at-large delegates. Though the party rules state that there are just 23 at-large delegates, citing Rule 14, there are 25 at-large delegates apportioned to the state by virtue of the RNC rules. The congressional district delegates are allocated to candidates based on the vote within those districts but with no threshold. 2 This poll is being used as an example of how delegates could be allocated under these new rules in Louisiana and not as a forecast of the outcome in the Pelican state primary. 3 More alarming, perhaps, is that there is no provision spelling out the allocation process if no candidate clears 20%. 4 That is something of a leap in reasoning considering that the rounding rules are unspecified. If the rounding is always up, regardless of the fraction, then a candidate could round up to two delegates with just a little less than 34% of the vote in a congressional district. All that is known for sure is that the Executive Committee does not explicitly have the same latitude in the rounding of congressional district delegates as it does in at-large delegates. Earlier this week, Nebraska state Senator John Murante (49th, Gretna) introduced legislation -- LB 871 -- that would create a new presidential primary election in the Cornhusker state, separating it from the mid-May, consolidated primary.1 The proposal would move the separate presidential primary to the first Tuesday after the first Monday in March. This is not all that unusual. Yes, it is a bit more forward looking than is typically the case. Bills shifting the dates of presidential primaries pop up every year, but they most heavily populate the introduced bills lists in the year before a presidential election. Still, there are always a handful of bills that appear as the primaries themselves are ongoing; during a presidential election year. But over the course of the last three cycles -- 2004, 2008 and 2012 -- nothing has passed.2 In most cases, actors on the state level take a wait and see approach; waiting to see how the current cycle goes before making a decision on a future one. What is more interesting, though equally forward thinking, is how legislators across the country will react to 2016 in 2017 but especially in 2019. The SEC primary may or may not have proven successful in 2016. 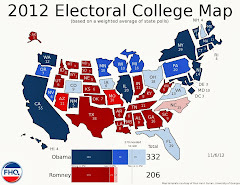 If it is, other states and regions may scramble to the front without the southern states moving back, creating a more robust Super Tuesday that resembles a national primary (see 2008). 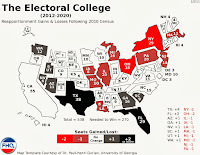 But the SEC primary may fall flat and organically cause actors in some of those states (and others outside the region) to reconsider their positioning or consider what spot on the calendar maximizes their voters' voices in the process. ...something the Nebraska bill's sponsor mentioned as a reason for proposing the change. 1 The move is expected to cost the state $1.5 million if the bill is passed and signed into law. 2 Unless you count Idaho eliminating the presidential primary portion of their May consolidated primary because both parties were caucusing instead. This is part nineteen of a series of posts that will examine the Republican delegate allocation rules by state. The main goal of this exercise is to assess the rules for 2016 -- especially relative to 2012 -- in order to gauge the potential impact the changes to the rules along the winner-take-all/proportionality spectrum may have on the race for the Republican nomination. For this cycle the RNC recalibrated its rules, cutting the proportionality window in half (March 1-14), but tightening its definition of proportionality as well. While those alterations will trigger subtle changes in reaction at the state level, other rules changes -- particularly the new binding requirement placed on state parties -- will be more noticeable. The big-ticket allocation rules changes for Kentucky Republicans in 2016 are that the party abandoned its typical mid- to late May primary for early March caucuses. If that was not enough, the party also chose to continue allocating its national convention delegates in a proportionate fashion but dropped its threshold for qualifying for delegates from 15% of the statewide vote to 5%. The changes mean that the process in the Bluegrass state will function differently in 2016 than it has in the past. A later primary, despite being proportional, often ended up featuring a winner-take-all allocation because a presumptive Republican nominee had emerged and no other candidate received more than 15% of the statewide vote (in order to qualify for delegates). But by moving their delegate selection event up to a spot on the calendar -- on the heels of the SEC primary four days prior -- Kentucky Republicans have shifted into a much more competitive portion of the process. And by dropping the threshold to just 5%, the party has constructed a set of rules likely to allocate delegates to more than one candidate. Mathematically, all eleven candidates who qualified for the caucus ballot in Kentucky could win delegates with or without the 5% threshold. Realistically though, over a month into the primary calendar, the field is likely to have winnowed, separating viable candidates -- and perhaps favorite son, Rand Paul -- from the rest. But while that may limit the number of candidates who ultimately qualify for delegates, that number will almost certainly be more than one as the Kentucky primary allocation has often been toward the end of the primary calendar. And that number of candidates is much more likely to be higher with a 5% threshold than the 15% threshold utilized by the Republican Party of Kentucky in the past or the maximum 20% threshold used by some states before Kentucky on the calendar. In the case of an unallocated delegate, the candidate closest to the rounding threshold would receive that left over last delegate. One would assume that means closest to but not over the rounding threshold, but that is not made clear in the current Republican Party of Kentucky (RPK) rules. If both conditions are necessary -- closest to and under the rounding threshold -- then Bush would claim a hypothetical 47th delegate given the data above (and if there was an unallocated delegate). This rounding scheme most closely resembles the one used by Virginia Republicans. 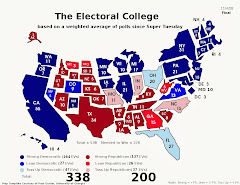 Unlike others -- see Kansas for instance -- the rounding method is not one that favors the winner or the top votegetters. Kentucky delegates to the Republican National Convention will be bound to their respective candidates based on the March 5 caucus results through the first roll call vote on the presidential nomination. Those delegates bound by the caucus results to candidates who subsequently withdraw from the race initially become uncommitted (unbound). However, at the call of the delegation chairman at the national convention, the delegates (both bound and "released"/uncommitted) will convene a meeting, hold a secret ballot vote and bind those "released"/uncommitted delegates to a candidate for the Republican presidential nomination. Basically, this is a vote among the Kentucky delegates to reallocate those uncommitted delegates. The reallocation of that N number of uncommitted delegates is done in proportion to the secret ballot vote. It should be noted that delegates can vote for any candidate in this intra-delegation vote and not necessarily the candidate to whom they are bound for the presidential nomination roll call vote. If, for example, Rand Paul drops out of the presidential race, then those 10 delegates would first become uncommitted and then reallocated and bound by the Kentucky delegation. Those delegates would be allocated to some number of the six remaining candidates if all of them were still in the race. In the event that just one candidate remains, the delegation would likely vote to deliver all of the delegate votes to the remaining candidate. If all six were involved still, then Bush-bound delegates, for instance, would not have to cast their votes in the secret ballot vote for Bush. They could vote for any remaining candidate. And it should be noted that the newly uncommitted delegates (in that state because of a candidate withdrawal) take part in that vote. That makes that bloc important; particularly if it votes as a bloc. In other words, they have some say in the candidate to whom some of them would end up bound. 1 This poll is being used as an example of how delegates could be allocated under these new rules in Kentucky and not as a forecast of the outcome in the Bluegrass state caucuses. 2 There is no contingency plan in place that is readily apparent in the RPK rules for breaking any ties like the one between Rubio and Huckabee here.